Nine points behind the table toppers already, manager facing the sack an inevitability, and dressing room chaos are just some of the major issues Manchester United are facing at the moment. The club is in desperate need for things to change, form being top priority. With this being a necessity, rumours of them being on the hunt for new players are always around the corner. Another one of these has been recently written about by La Nazione, as they suggest that the Red Devils are in hot pursuit of Nikola Milenkovic. The reported offer is said to be worth €60m, and it is being spearheaded by Jose Mourinho himself. 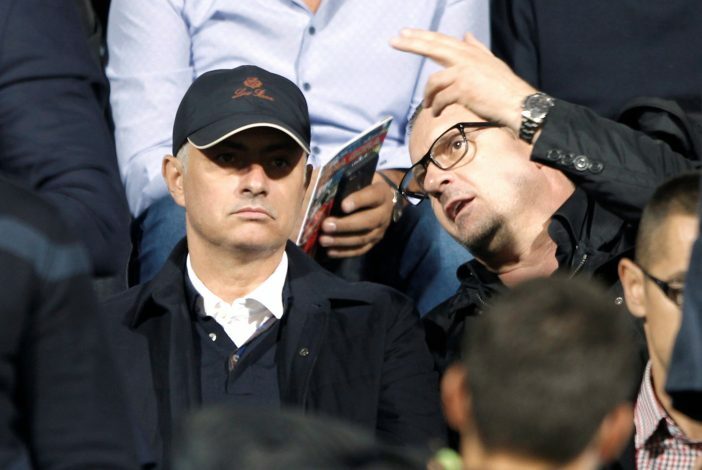 The boss of Old Trafford was recently present to watch Serbia play Montenegro on Thursday, and the defender’s performance left him wowed. Once Mourinho got the go-ahead from his board, talks were straight taken up with Fiorentina. However, as business has lately been at the Theater of Dreams, this one did not go as planned either. The Serie A club is rumoured to have bluntly denied the offer from the English outfit, and it could be because of two reasons. One being they could get much more money than promised if they sell Nikola in the summer, and the other being they do not want to let anybody leave mid-season. Sorting out the weakness in defence has been Mourinho’s top priority all summer, and this could just be the answer he’s been looking for. The right-footed 21-year-old is set to stay in Italy till 2022, but if United come back with a better deal, things might just change.